Many EPC engineers offer a Front-End Engineering & Design (FEED) study as a means of producing a system design that better meets the customer’s particular situation. At Glowsworth Engineering, we take the FEED study a step farther by including construction issues into the study-design process. Our integrated control, power, instrumentation, and construction study starts with a thorough site audit that applies our 18-plus years of experience to produce a detailed scope of work, piping, electrical instrumentation detail, a construction approach, and cut-over planning. The scope of work includes I/O, instrument, and engineering deliverable list, plus control system and HMI definitions, and the detailed construction approach. When we’re done, you will have an appropriation/PO-worthy estimate. You may bid out the estimate if you wish, but we guarantee to install the defined scope of work for the estimated price. A key element of the FEED+ study involves the site survey. Our site survey team consists of personnel with expertise in control systems engineering, field engineering, plant support, and construction. 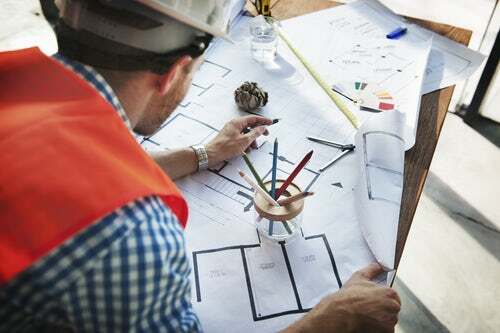 Design-build is a method of project delivery in which the design-build entity works under a single contract with the project owner to provide design and construction services. In the context of our business, this addresses strictly the automation portion of a total project. The result of one entity and one contract is a unified flow of work from initial concept through completion, thereby re-integrating the roles of designer and constructor. With PMI-certified project managers and others engineering disciplines construction and installations capabilities, we are perfectly positioned to deliver these benefits to your next automation project. At Glowsworth, we thrive on the difficult and the challenging projects in the oil & gas, fabrication, piping, Instrumentation & automation industry. Our expertise and experience in the oil & gas industry is extensive. Our project participation includes centralized automation and control, oilfield SCADA (Supervisory Control and Data Acquisition) systems, vibration monitoring, electrical load monitoring, industrial networking optimization and security, flow monitoring, motor control centers, pump controls, measurement systems, and instrumentation integration. We are also available to perform a full range of field services, including 24/7 total facility maintenance availability, checkout, startup, calibration and outage support. We also offer a full range of project life cycle services to our clients. Glowsworth Engineering provides power generation (power) process engineering services for retrofit and new plant construction. We support services to the fossil and bio-energy power generation industries, renewable energy projects, civil construction, and infrastructural, marine construction. Our design, construction and installation experience in the oil, chemicals, liquids and gas transportation and storage tanks segment makes us a perfect choice for midstream and downstream applications. Glowsworth Engineering provides plant layout services for retrofit and new plant construction. We support our clients in early conceptual equipment and system layout planning through final engineering and design using AutoCAD®, Plant 3D®, Revit®, and CADWorx® 2D and 3D design platforms. The Piping/Pipeline Department has the capabilities of performing Piping and Pipeline Design using the latest technology in the market today that includes Conceptual Study to Front-End Engineering Design (FEED), Detailed Engineering Design (DED) and Engineering Support during Construction Stage. Through the years, Piping/Pipeline Department has been involved in doing wide variety of projects such as On-Shore / Off-Shore Piping: for Oil Refineries, Gas Plants, Petrochemical Plants, Steel Plants and Tank Farm Facilities. We provide comprehensive services, including modeling and analysis, preparation of construction specifications and construction documents, and technical / field liaison and support services.